--> Written in February of 2016. There are a lot of SEO courses on the market but when it comes to local SEO there is only 1 I will ever recommend, Stephen Floyd ‘s BulletProof Local SEO. BulletProof Local is a comprehensive SEO course that will have you absolutely crushing local search and Stephen Floyd is the dude who has taught me my best local SEO tips that has me earning $26,750/monthly from local SEO clients. And in Stephen’s Course, BulletProof Local, you will have access to the same over the shoulder training videos that I watched which taught me how to make a killing with local SEO at a massive discount. You see I’ve learned these local SEO tips from Stephen as a part of paying upwards of $8,000/year from the OMG mastermind. Stephen is an OMG coach and covers local SEO in depth and local SEO is where I earn about 75% of my online income. But the thing is you don’t have to pay $8,000 a year to learn these same strategies from Stephen like I do. Instead you can invest in Stephen’s personal course, BulletProof Local, and get only the training that has me earning over $26,000/month from local SEO at much less than $8,000. Do onsite SEO properly – We’re talking site architecture, WordPress plugin setup & settings, interior linking, image optimization, page optimization, video optimization, and more. How to select local SEO keywords – Not just obvious keywords but hidden keywords that drive traffic. If you didn’t know these existed in local SEO you’re missing out big time. How to rank & drive traffic from long tail local SEO keywords that your competition is not ranking for or even thought to rank for. This is crucial & helps you deliver results faster to your local clients. Where to build & how to build safe local SEO links (what if I told you there were two directories that Google expects local businesses to be included in that automatically give you a massive ranking boost). These two directories are not Yelp, Manta, or some other basic directory but directories that Google has explicitly cited and recommends in their webmaster instructional guideline. These are the links and tips that make a difference between mediocre rankings and top 3 rankings and best of all these are links your competitors are missing. How to Geo Tag Photos & crazy address citation hacks – If you don’t know what geotagging images and videos is then you’re already messing up your local SEO strategy. If you don’t know about Google’s own geo tagging software then again you’re missing out. 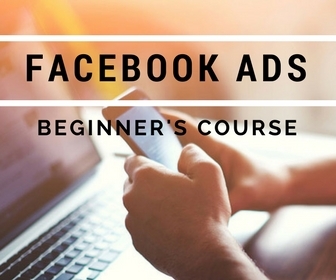 An Amazing Social Signals Strategy – How to use one 5 minute Facebook posting trick to get hundreds of comments, likes, and clicks to your client’s websites. They will love you for this and Google will too. PBNS & Automation – Yes there are ways to automate a lot of your local SEO link building. And we’re not talking about building automated links directly to your client’s site. That would be foolish. But instead, how to automate link building to power up your citations and other directory links. And a ton more…. Just see the course description page. Stephen Floyd has been practicing SEO since 2001 so he has the knowledge, insight, and the experience that almost nobody else has when it comes to search engine optimization. He knows what worked in the past, what Google wants you to do today, and where local SEO is heading. That is a massive advantage; to know where Google is heading and that is something you get with BulletProof Local is a consistent advantage and new SEO strategies before your competition. Stephen Floyd is well known in the SEO industry for his teaching as a coach inside OMG, as a coach in Source University, and for the raving reviews of current students inside BulletProof Local. BulletProof SEO is an evergreen local SEO course which means it is updated consistently. As Google updates so does the course teachings. And as Stephen uncovers new strategies and techniques that are working; you’ll be the first to hear about it. Who is BulletProof Local Not For? Who is BulletProof Local For? Want to rank your business website for “your city + SEO” example: (Los Angeles SEO). If I were to ever create an SEO course it would specifically cover local search. However it would take me months if not a year to put together the same amount of content to provide the same value at Stephen does in BulletProof Local. So instead of going head to head with the absolute best expert, Stephen himself, I’ve decided I will openly promote his course instead. This will be the only Local SEO training course I’ll ever promote as it is the absolute best and will provide you a massive ROI. Local SEO client’s Are Worth at Least $500/month for 6 Months. 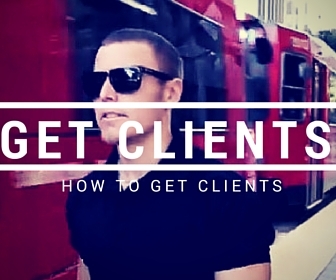 So if this course helps you gain just 1 more client, it pays for itself 10x over. When you’re looking to grow your business you need to pay careful attention to numbers. Think cost of client aquisition to the lifetime value of a new client. Think cost of training to the lifetime value of having that knowledge and new industry connections. When you consider this course is only $500 and that a local SEO client is worth at least $3,000 over the course of 6 months (that’s if you charge $500/month per client which is a very conservative rate for your service); then you can quickly calculate that if BulletProof Local helps you gain just 1 more client; you’ll have yourself a massive return on investment. Since I am promoting Steven’s course with my affiliate link which I want to be very straightforward about; I’m going to offer everyone who purchases this course thru my affiliate link; an exclusive training video that details my absolute best client lead generation strategy that I have not and will never publicly reveal on Dynamik 365 or the web. This lead generation strategy helps me receive inbound leads every month and is incredibly easy to do (except nobody seems to know it) and is something you can put to action instantly. 1). Purchase BulletProof Local via my affiliate link here. 3). 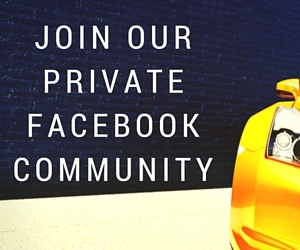 Private Message me on Facebook with your ID number. I’ll confirm the affiliate sale and give you access to my best kept secret (video). I hope this provides you all massive value! I know Stephen has helped me tremendously over the years!